5500mm Overfeed Rewinder can longitudinally cut the paper roll with a quantity of 100-180g/㎡ which is initially rolled up on the paper machine. Then the paper is re-wound into a finished paper roll that meets the requirements for both width and tightness. 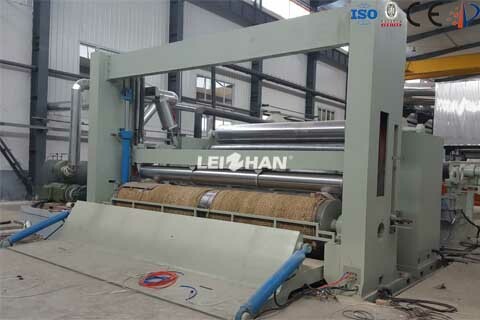 Leizhan company can offer you the whole components for 5500mm Overfeed Rewinder. Such as, loading rack, longitudinal cutting device, roll device, pneumatic control system.